Being a sewing enthusiast you probably already know a lot about selecting fabrics and threads, several types of machine and hand stitches as well as how to select and run maintenance on your sewing machine. Yes, you do know a lot of things about sewing so let’s go ahead and add more to your reservoir of sewing knowledge. Sewing Machine Reviews present to you Fun and Interesting Sewing Facts And Trivia you might not know yet. A hand embroidery machine was invented by Josue Heilmann roughly 20 years BEFORE Isaac Singer’s sewing machine was patented in 1846. Sewing is the earliest form of textile art. It was practiced by stone age people even before weaving was invented. Early sewing threads came from various animal body parts like sinew, catgut and even veins. The firsts needles used during the stone age era were animal bones and ivory. Discoveries suggest that fabrics/ textiles made from dyed flax fibers have already been existing since around 34,000 BCE. There are 25 kinds of hand stitching documented as of 2017. It was rumored that Singer ordered a buyback program for the original cast iron singer machines and they were deliberately destroyed by sledgehammers. Reason being the original machines are so durable and could last hundreds of years and be passed on from generations to generations, this would make the sewing machine market saturated and there will be very slim opportunity for new sales. When buttons for garments were first invented, only wealthy women can afford them. This is the reason why early women’s clothing have buttons designed on the left side of the garment making them more accessible to servants who help them get dressed. The zippers were originally made/ invented for footwear such as shoes and boots in 1893. Soon after, the technology was adapted and used on clothing too. 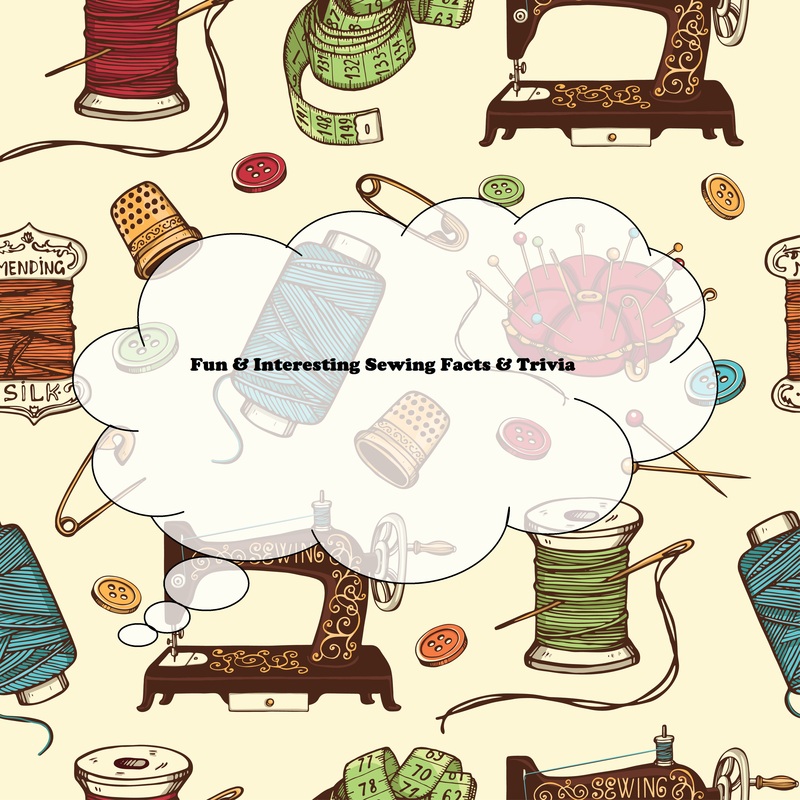 Hope you enjoyed knowing these sewing facts and trivia as much as I did. I’d love to hear what you know too, please leave us a comment if you have some more bizarre facts about sewing that you wish to share.